STAFF NOTES: ﻿"One of the best updates to any Nike shoe ever. The fit and feel are premium!" The Skinny: The outsole of the Vomero gets a major face lift with updates to increase durability and cushioning. The rubber crash rail on the lateral side has been softened up even more than the was changed for v11. The full length internal bootie has been cut back to 3/4 length. The sockliner has been reduced to 5mm to provide for more volume. units, and a dual-density midsole. The lightweight foam outsole remains durable while providing a high energy return and optimal traction. 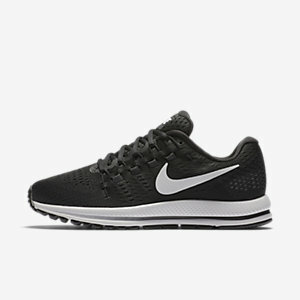 A perfect balance of adaptive support and responsive cushioning, the Nike Air Zoom Vomero 12 Running Shoe offers high-performance comfort over any distance.